Over the last decade, Centro Nierika has hosted an impressive range of events. 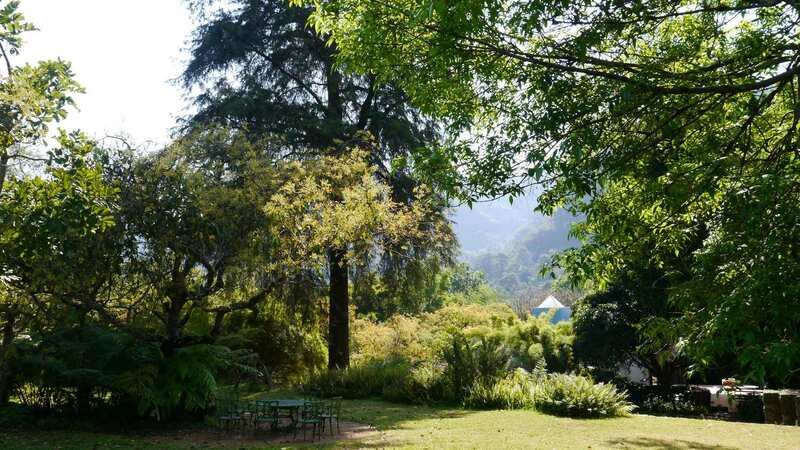 We provide a safe, beautiful and ecological space for holistic retreats, workshops, therapies, ceremonies, family gatherings, staff retreats and other special events. Indigenous healers from North & South America, internationally recognized psychologists, educators and persons seeking alternative paths to healing find Nierika the perfect setting for deep and transformative work. 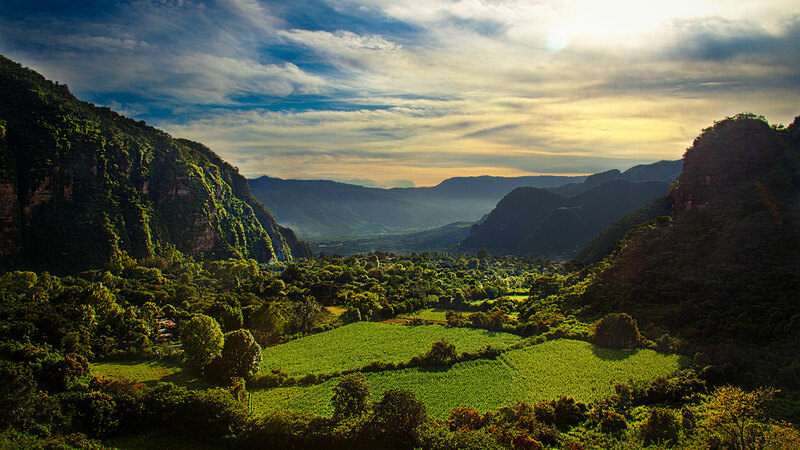 Our sanctuary is nested in a lush subtropical valley, at about 5,577′ (1,700 m) elevation in the Sierra Mountains. The climate is moderate with mild humidity, pleasantly warm day temperatures that cool down at night. 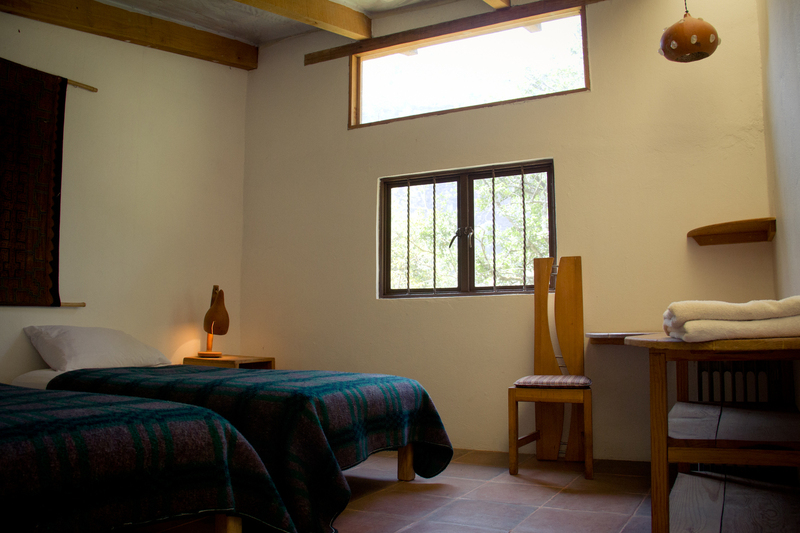 The center provides individual and/or shared comfortable accommodations, architectural spaces, hot solar showers, wireless internet, healthy and delicious meals prepared with organic produce, use of an art studio and yoga/meditation facilities as well as many acres of organic orchards and gardens. You will experience the serenity of the surrounding nature reserve setting, high standards of cleanliness, comfort and a unique style. Nierika is situated in a peaceful and quiet river valley where the song of birds and the whisper of the wind inspire tranquility and introspection. Nierika Center is only 2 hours away (depending on traffic) from Mexico city, 1 hour away from Toluca and 1 hour away from Cuernavaca. We will be happy to arrange for your transportation from anywhere in Mexico or internationally. We provide a mostly organic menu with lots of fresh farm-to-table ingredients. Our cooks are masterful in preparing family-style Mexican food, that is healthy, flavorful and vegetarian-friendly. Meals are included in the cost of accommodation. Nierika’s permaculture gardens are thriving with avocado, citrus, and coffee orchards, fresh greens and other vegetables as well as medicinal herbs. Our gardens also provide a wonderful opportunity for giving back to Mother Earth by learning how to grow your own food while you help us harvest for our kitchen or sow new seeds in our greenhouse. All our water comes straight from Mountain springs and goes through a chemical-free filtration process. Our facilities can lodge up to 40 people on various spaces that go from shared dormitories, to private suites and even an apartment, where you can lodge several days, weeks or months. Dormitories – Thermal adobe building with 2 sections (Men & Women) with a capacity of 8 beds each. Rooms – We own individual or shared rooms (2 beds), either with personal or shared bathroom. Suites – Queen size, private bathroom, some with and extra individual bed. Apartment – Two bedroom (one queen and two singles) apartment with bathroom, with small living room and kitchen. Teocalli – A sacred geometry designed circular prayer & ceremonial room, with the possibility of having a fire inside, where countless ceremonies of different traditions have been held. Cave of Visions – Inspire that a rock we could not move, we created a man-made cave with rock paintings that transport you to a mystical and magical space. It also has a fire place. 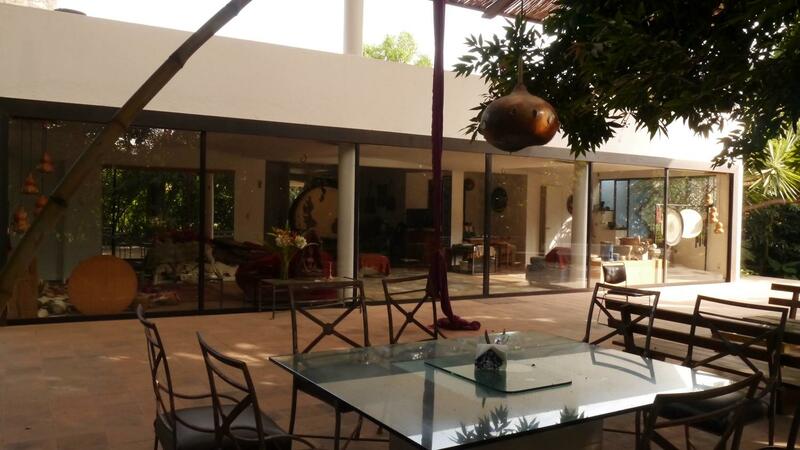 Dinnig Room – Our glass rounding room surrounded by Nierika´s gardens in simple organic architecture. Center Space with terrace – An architecturally designed roofted terrace with sliding doors connecting to the altar and music room. Temictla – The Nierika project extends over 30 acres and is comprised by two sections divided by a river. Temictla, in nahuatl, means the place which is beyond dreams. It holds a reconstructed pyramid and an amphitheater field extends into the mountains where diverse public events have been held, such as Council of Visions, musical concerts and sundance, children camp, ideal for bigger groups and festivals. Temictla is excellent for morning walks up the mountain, and for outdoor group activities.